The fire station seems to be a single storey building with one appliance bay that was part of the RUDC yard. 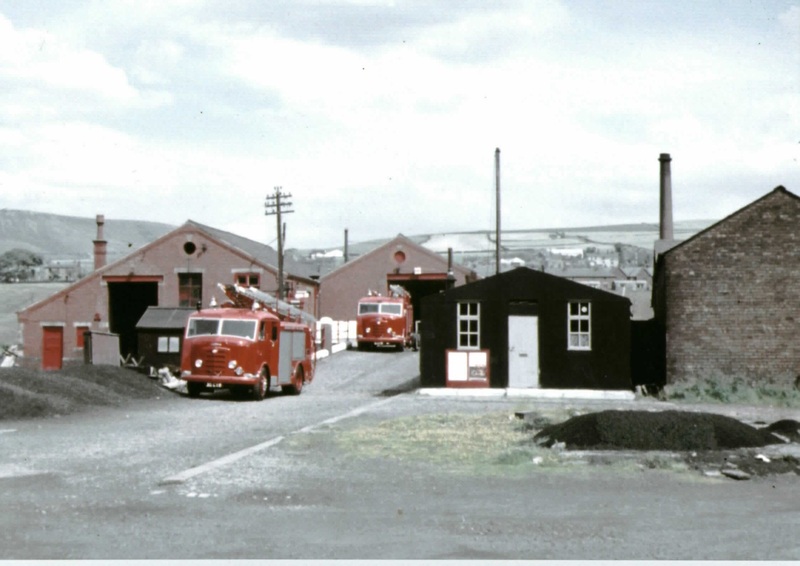 According to the official opening program for the Stubbins Lane Fire Station, the old station was opened around the outbreak of world war 2 (1939) and was in use until the 9th of October 1963 when the fire brigade moved out to the new premises on Stubbins Lane. It is said that it had long been realized that the old premises were unsuitable and inadequate for present day needs and that the site for the new fire station was acquired in 1962. It is also not know what features this station might of had but looking at the old photographs and aerial views that station was not very big with no yard or tower present. At one point the yard was the local tip before becoming a storage yard for a local plant hire firm called Garics. I think today the site is still owned by them but current has a caravan storage and hand car wash on there.